Singapore's travel magazine, Escape, promoted Turkey's Istanbul city in its February issue. In its article, prepared with the contribution of Turkish Culture & Tourism Ministry, the magazine recommended tourists to visit Istanbul which is the only city that unites two continents in the world. 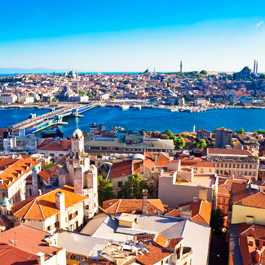 The eight-page article written under the title "the place where east and west meet", says Istanbul is an important city which unites Asia and Europe in geographical and cultural aspects. Istanbul is accepted as an art and culture center, and it was selected the European Capital of Culture in 2010, says the article. Escape magazine is a bi-monthly travel and lifestyle magazine. It offers an extensive range of reads on new and favorite destinations, and each city's scintillating sights and scenes.